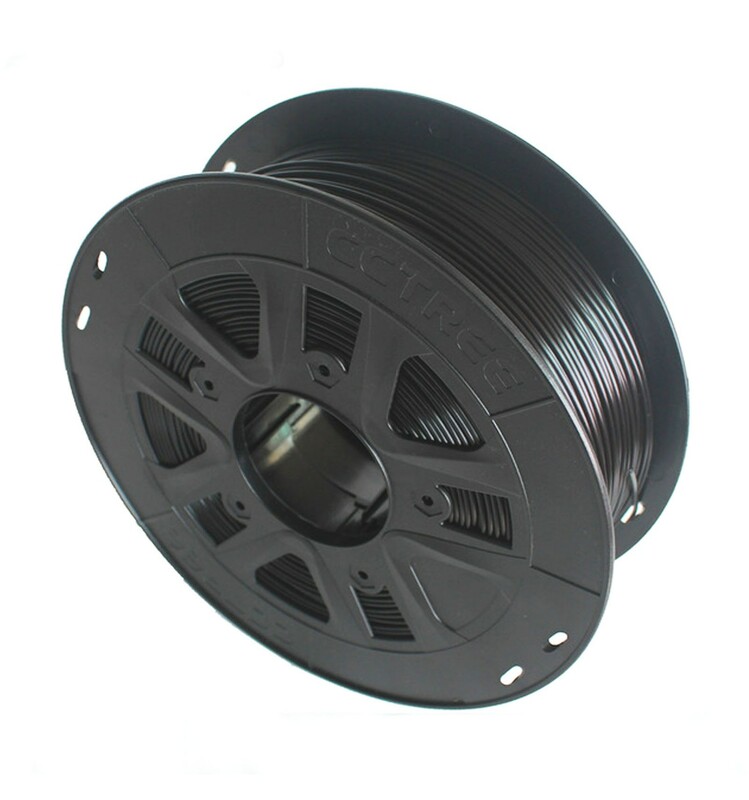 1kg Spools of Black 1.75mm CCTREE POM Filament, made from Delrin Acetal polymer for enhanced strength, rigidity and low friction characteristics. Our 1.75mm Black CCTREE POM Filament is a Delrin Acetal polymer that is designed to be extremely durable while offering ultra-low friction and a long lifespan. It is commonly used for applications like roller-wheels in V-slot structures, and is capable of enduring through intense physical stress without losing shape or showing any obvious signs of wear and tear. Some of the key benefits offered by POM Filament is that it maintains rigidity and structure extremely well, has a low elongation yet high durability, offers one of the lowest friction coefficients available, and is capable of resisting and transferring high amounts of heat without problems. These characteristics make the polymer perfect for applications like wheels on rolling office chairs, buckles and clips for belts and straps, as well as other cases in which the plastic will be exposed to continuous wear and tear but will need to maintain low friction throughout its use. So, if you need a new Exotic Filament that will offer more durability, impact resistance and physical strength than many of the standard filaments on the market, our 1kg spools of CCTREE POM Filament are a great option to try out. As a side note, this 3D Filament is recommended for veterans users, as it is tricky to print with and will require some experimentation to perfect. It is also easier to print with when using an enclosure, as this polymer tends to harden at a much faster rate than standard filaments. The material that our spools of CCTREE POM Filament is the same material that is used to make Delrin wheels and other ultra-low friction parts, and this is thanks to the durability, structural rigidity and low friction coefficient of the material. So if you are looking for a filament to use that will let you print smooth, rigid, durable prints that won’t wear down quickly, POM filament may be just the polymer you’ve been looking for.